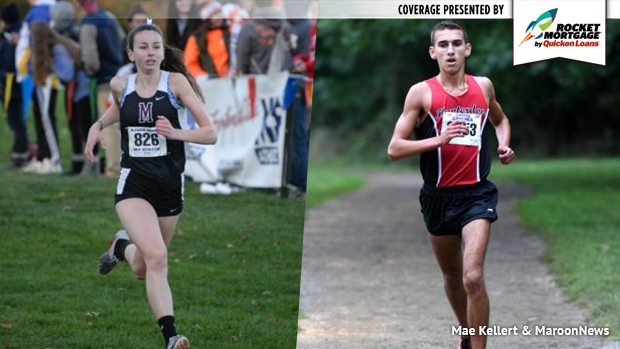 This week we saw even more big New Jersey distance names fall off the recruiting board. Matawan senior Rachel Kenny announced Thursday that she has committed to Columbia University. Kenny has multiple Meet of Champions appearances and has made a name for herself not only in cross country but on the track in the shorter 800m distance. The Matawan star has an 800m best of 2:14.52, and a 5:03.14 for the 1600m. She has wins at the Sectional and Shore Conference level. Most recently she finished second during a wicked fast Shore Conference Cross Country Championships running 17:29, that ties her for fifth all-time on the Ocean County Park course. Her Holmdel Park best is an 18:54 from her second place run at the 2016 Group 2 State Championships. Justin Cornetta of Hunterdon Central announced that he'll be heading to the University of Pennsylvania next fall. Joining what has already become a long list of talented New Jersey athletes, as seen below. Cornetta has a stat line of success, with multiple Meet of Champions appearances and a Skyland Conference and Sectional title under his belt. During cross country he placed top 25 his sophomore and junior year at the Meet of Champions. In the outdoor 3200m the Hunterdon Central star finished sixth at MOCs with his career best 9:10.72 in 2016 and during indoors finished ninth for the 1600m. Prior to his successful return this fall he had been out recovering from an injury since January and missed all of the 2017 outdoor season. Manalapan's William Spector announced this week that he has chosen Rider University to continue his studies and athletic career. Most recently Spector had a 13th place finish at Monmouth County Championships with his career Holmdel Park best of 16:38.